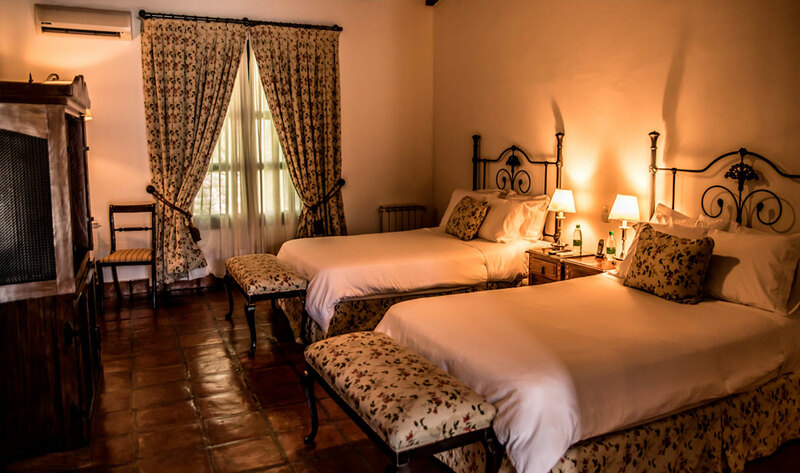 These rooms face the Patio de los jasmines, measure 34 m2, have a double bed or two singles. Surrounded by silence allow a rest without equal. Each one with a different detail but in the same style. Spacious bathrooms, are the special place for a restful immersion bath. 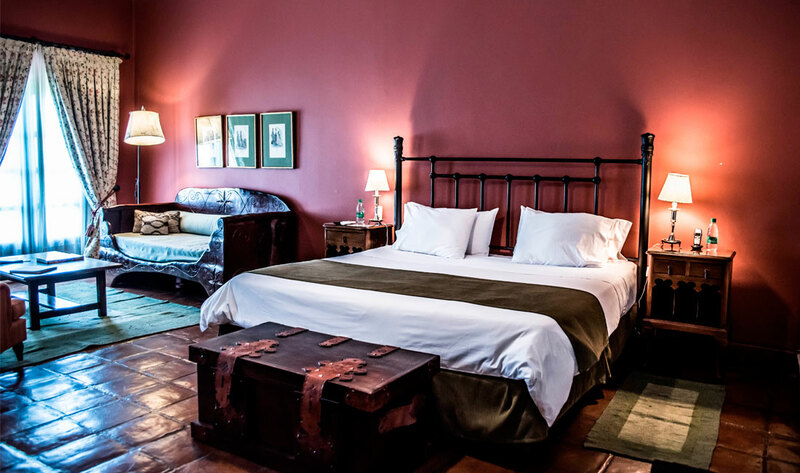 Each of the rooms has a decoration, special and original of Argentina. 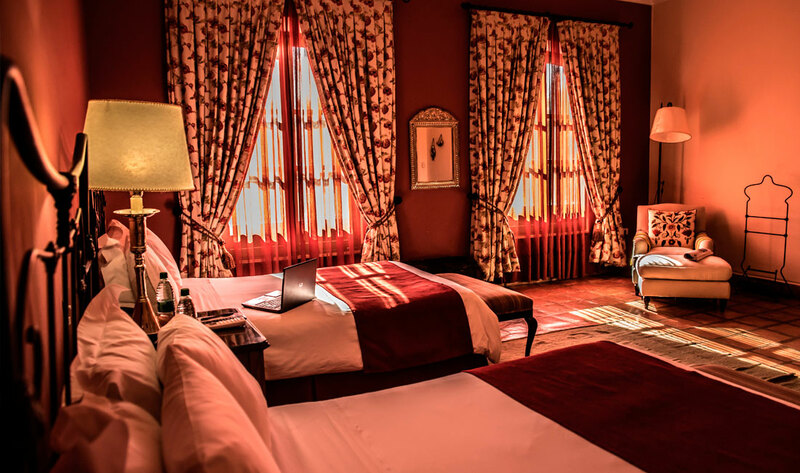 Of generous dimensions, well equipped and with spacious and comfortable beds, invite to rest and enjoy the place. 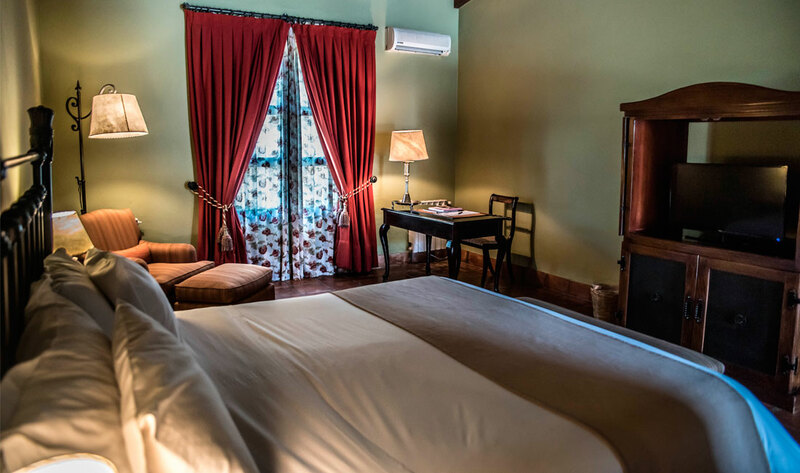 The rooms have satellite TV, mini bar, safe and free internet access. Every afternoon our guests can enjoy a complimentary glass of sparkling wine. 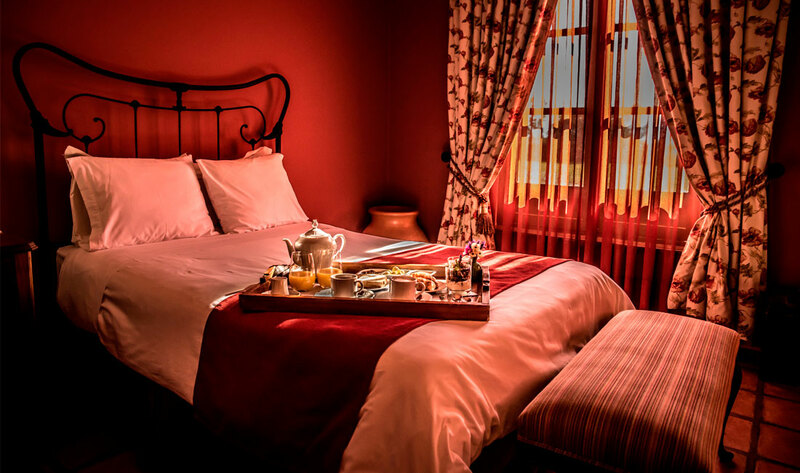 These rooms have a view of the gardens and hills, measure 40m2, and can have a double bed or two singles. It also has large dressing room, and large bathroom with bath. The amplitude of its measurements and the view seen from its windows make them a unique place for rest and admiration of the landscape. 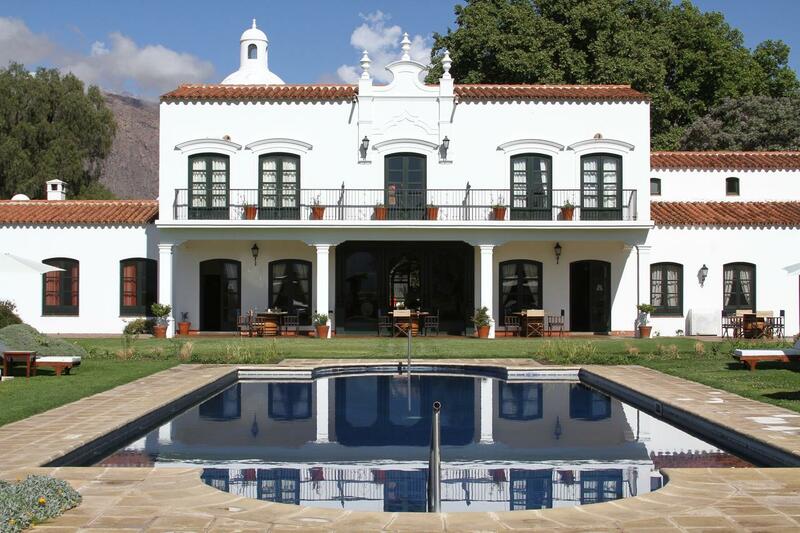 All decorated in the characteristic colonial style of the North. These rooms have incredible views of the hills, just by looking through the window one feels part of this stunning landscape. 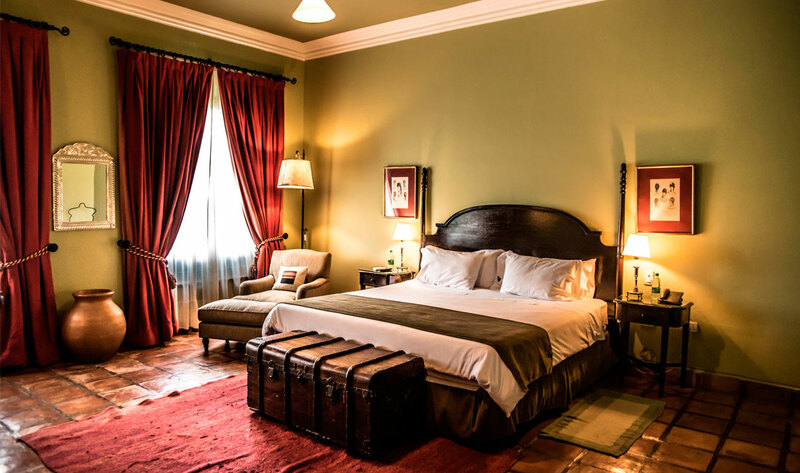 Of generous measures, 40m2, with dressing room, spacious bathroom with bathtub and comfortable double bed or two singles, make the stay an experience of pleasure. Each one with its different colors and particular decoration, always within the style of Patios. These rooms are very special, 60m2. overlooking the vineyards and hills, or the original private patio. 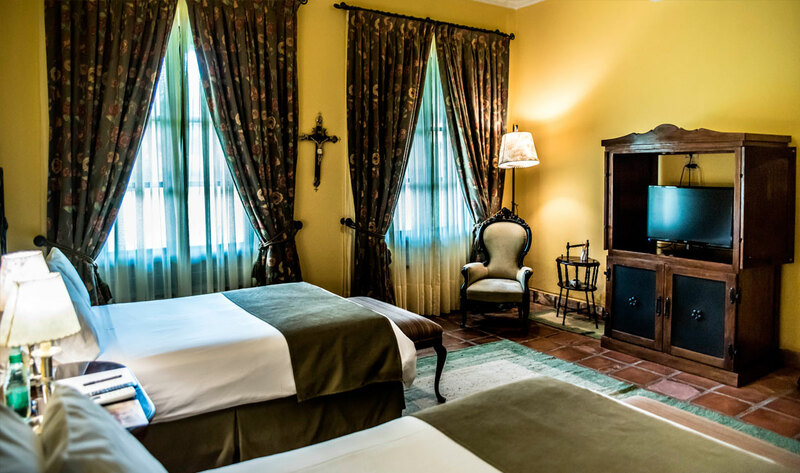 One of them, the colonial one, also has a fireplace and its walls are made of original adobe from the period. They have living room, dressing room, large bathroom with jacuzzi, and double bed or two singles. They are ideal to relax and enjoy the tranquility of the place, enjoying an incredible view, in a quiet and relaxed atmosphere.